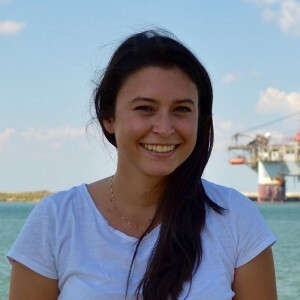 Alexis Khursigara is a Ph.D. student in the Marine Science Department at the University of Texas at Austin working under Dr. Andrew Esbaugh. She received her BS in Biology from Fairfield University where she also completed a Master’s in Science Education. During her undergraduate, Alexis worked in a biomechanics lab looking at locomotion and feeding in freshwater stingray (Potamotrygon motoro). Currently, she is working on the social and physiological impacts of acute oil exposure in early life stages of red drum (Sciaenops ocellatus).